A rare document bearing Jawaharlal Nehru's signature in Hindi, English and Urdu, and a priceless 1623 edition of William Shakespeare's complete works, are among thousands of historic manuscripts and unseen photographs awaiting proper preservation at IIT Roorkee's iconic library. In a visitor's notebook kept at the Mahatma Gandhi Central Library (MGCL) of IIT Roorkee, India's first Prime Minister signed his name in three languages along with the date 'November 25, 1949'. A tiny correction that Nehru made while writing his name in Hindi is what makes the document especially interesting, Dr C Jayakumar, Librarian, MGCL told PTI. Having grown slowly since the British period, the library has a good archival collection, he said. However, at present, the physical manuscripts and photographs are stored in basic conditions. Many important photos, such as those in the convocation album of 1950, lie unlabelled. While Jayakumar eagerly describes the context of the photographs to those who request to see them, without an organised catalogue, these slices of history may soon bite the dust. "We have one of the earliest prints of Shakespeare's collected works, along with 10,000 out of print volumes. We also have a collection of rare images captured during events like convocations," Jayakumar said. The dilapidated copy of the Bard's complete works that Jayakumar refers to is stacked inside a cardboard box in the librarian's office, its pages individually separated with tracing paper. A handwritten '1623' on the half torn cover page indicates the date of its publication. Titled 'Mr. William Shakespeare's Comedies, Histories, & Tragedies' is the first edition of the Bard's collected works. Published in 1623, it is referred to as the First Folio by modern scholars and is considered to be one of the most valuable printed books in the world. In 2001, a copy of this edition was sold at Christie's in New York for a whopping USD 6.16 million. The library also holds in its collection 'Ganges Canal Works' -- a report by English engineer Proby T Cautley who conceived and supervised the construction of the Ganges canal. Published in 1960, the work documents the construction of the historic canal from its commencement until its opening in 1954. "A lot of the materials have been archived online for research purposes and can be accessed by researchers," Jayakumar added. 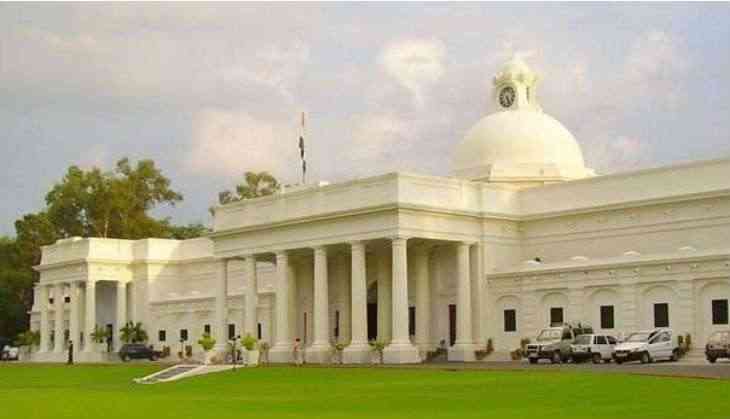 He has sent a proposal to IIT Roorkee administration, for building a small museum within the library that can not only preserve the historic items, but also make them more accessible to all visitors. "We will move in that direction. His proposal is still pending," said IIT Roorkee Director Ajit K Chaturvedi told PTI. Chaturvedi said in the meanwhile, researchers and enthusiasts can access these archived documents online, or by sending a written request to the institute.